Home purchasing requires hefty amount of money. That’s why it is not very surprising that many people in the United States get the financial assistance of 100 mortgages to procure a home. This type of financing is distinct from the traditional type of home mortgage. Typically, when you avail a mortgage you will be obliged to provide a down payment, which many people still can’t afford. If you are on the same boat, then 00 financing mortgages will be the most beneficial option for you to own your dream home. It is the drift of the modern mortgage market to create specific mortgage products for special borrowers. A very good example is a 100% mortgage. This financing option is specifically designed for borrowers like you who lack the money for a down payment. There are people who cannot accrue extra cash after covering their day-to-day expenses. However, they have the facility to meet the monthly repayment schedule of their mortgage. For these people and even for some property investors 100% buy to let mortgages are the ideal option of owning a real estate property. Although there are poor credit mortgages and even bad credit remortgages available, 100 buy to let mortgages are most of the time granted to those who possess good credit record. However, this does not mean that people with far from perfect credit record cannot procure 100% mortgage, but the interest rates given to them are often higher and the terms and policies might be not favorable to them. Whatever your financial circumstance is, you can surely find a suitable 100% mortgage product through an all-embracing and extensive market research. Understand that 100 percent financing is just like any other loan product, except it does not ask for down payment. Familiarize yourself with the 80/20 mortgage. One form of 100% financing loan is known as the 80/20 loan. With this mortgage option, you apply for two different mortgages to pay for the cost of purchasing a home. The 80 portion will cover the initial 80% of the value of the home. This mortgage is recognized as your first loan and will be amortized at a standard mortgage interest, which will be based on your FICO score. 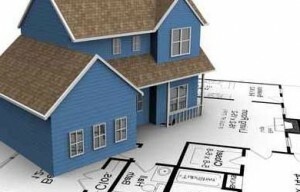 The 20 portion will then cater to the remaining 20% of the value of the home and will be seen as your second mortgage. This second loan will be accordingly amortized at higher rate of interest than your initial mortgage. The benefits of the 80/20 mortgage are you don’t need to worry about the down payment and your will not have to compensate private mortgage interest rate. Discover the 100% loan plus PMI, which is the second kind of financing. With this option, you will not be required to reimburse any down payment, but you are necessitated to compensate the private mortgage insurance, also acknowledged as PMI. Learn about the best investment property loans, comprised of 100% mortgage and lender paid PMI. Through this financial assistance option, you will not be asked to pay for a down payment and you don’t need to shell out money for private mortgage insurance. The setback of this mortgage product is that it is more complicated to meet its requirements and often it comes with much higher closing points. Assess which 100 mortgages and 100 remortgage serve your financial needs. To discern which mortgage product to apply for, you must carefully compare the cost of the loan in its entirety, as well as which loan you are eligible to use. To make this happen, you can request information from your lender to provide you a mortgage quote depending on your employment status and your FICO score. Educate yourself about remortgages, which are a feasible solution in times of serious financial problems.